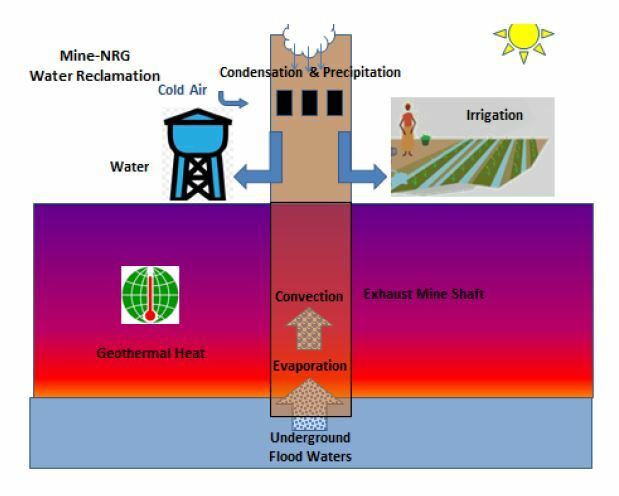 Mine-NRG, Inc. (Mining for Energy)™ has developed a patented method of generating renewable electricity and recovering water by re-utilizing existing underground mines. Using the earth’s natural geothermal heat, the Mine-NRG solution turns an environmental liability into a sustainable asset by addressing the world’s most critical needs; energy, water and food. Mine-NRG uses the existing infrastructure of underground mines to produce a continuous flow of air, which drives a turbine to produce electricity. Cold air descends into the mine, is warmed within the infrastructure and then channeled to an exhaust shaft, producing "Geothermal Wind Power." Saturated air rises in the exhaust shaft and condenses at the surface level. H2O is recovered for use as potable water or for irrigation purposes. 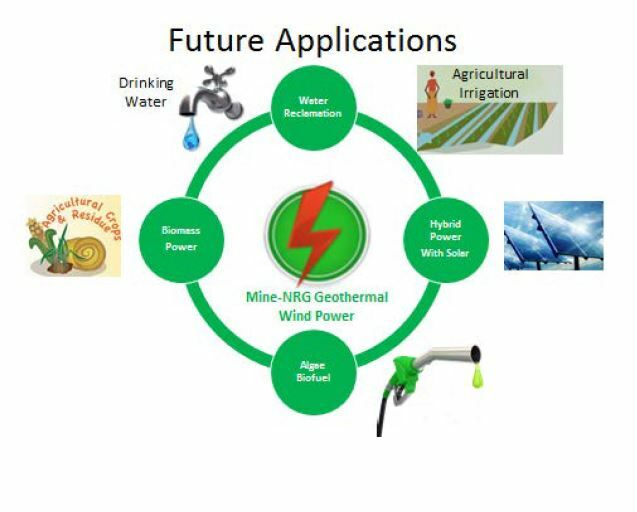 With Mine-NRG's Geothermal Wind Power, future applications may include water reclamation, hybrid power combining Solar, Biofuel production and Biomass Power. 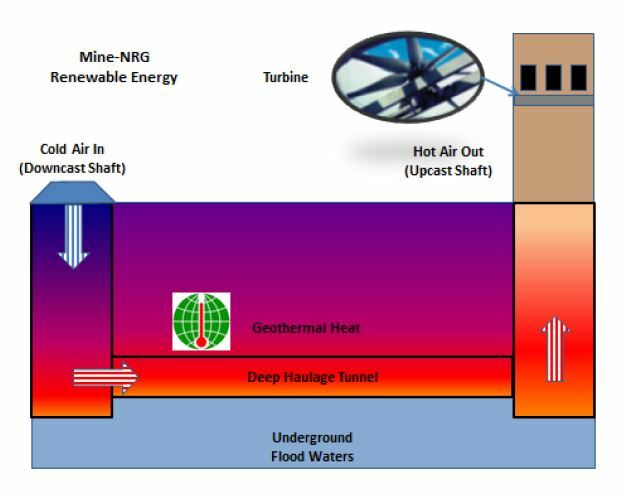 The principle of a mine energy system is similar to that of a solar updraft tower, one major difference being that in a mine energy system geothermal energy is used to heat the working fluid air, whereas in a solar updraft tower (also known as 'solar chimney') solar energy is used. Another major difference is the fact that for solar updraft tower systems large stacks have to be built, whereas the mine energy system targets at using existing abandoned mines.